Welcome to the PM&R Resident, the official AAPM&R web-based newsletter for physiatry residents across the country. Throughout the year, each article is written by residents and highlights content of interest to residents. One of the most popular features of the newsletter is the fellowship series. These articles offer residents insight into the diverse subspecialties of physiatry and provide peer advice on applying to fellowships and a variety of other post-residency opportunities. If you are pursuing a small or unique subspecialty of physiatry, please consider submitting an article and sharing your experience. In addition to the fellowship series, the newsletter includes personal accounts of resident life, commentary on volunteer opportunities or international health, as well as how-to’s about transitioning from residency or finding a job. While this is not a peer-reviewed journal and original research is not a highlight of the newsletter, articles can feature peer advice on research or educational topics. In order to provide these resources for resident members, the PM&R Resident regularly seeks suggestions and contributions. Maybe you have an idea for a topic you would like to learn more about, but you aren’t ready to write an article yourself. Instead, you may have a particular talent for writing, but need inspiration for a subject to write about. Or perhaps you have an idea in mind and want to contribute a complete submission. In any case, we want to hear from you. I look forward to an exciting year serving as your AAPM&R Resident Physician Council Board Secretary and Editor of the PM&R Resident. Please contact me at 1gutierrezdavid@gmail.com with any questions or suggestions. #AAPMR2015 – Thank You for Joining Us! Dr. Milani: What is dance medicine? Dr. Grierson: Dance medicine comprises the physical and psychological health care provided to dancers of all ages, abilities, and interests. Multiple providers and specialists participate in delivering care to dancers, including physiatrists, primary care specialists, psychiatrists, psychologists, physical and occupational therapists, and orthopedists. Dr. Milani: Is dance medicine the same as performing arts medicine? Dr. Grierson: Performing arts medicine (PAM) defines a much broader category. Dance medicine (DM) falls under the umbrella of PAM. While DM focuses on the care of dancers, PAM includes care for musicians, vocalists, actors, acrobats, and other performing artists who use their bodies to create various forms of art. Dr. Milani: Why are you passionate about dance medicine? Dr. Grierson: I was a dancer through college and continue to dance today. Dance culture and medical culture sometimes have differing values and priorities. I get a lot of satisfaction from being able to translate important medical information into improved health knowledge and health outcomes for dancers. Also, I’m passionate about longevity for this population and helping patients across the spectrum of age, ability, and function. I get frustrated when I see patients stop dancing in their 20s or 30s because I wonder how much of their creative potential is left unfulfilled. And last but not least, in the realm of medicine and health care in particular, dancers are often underserved and misinformed about healthy movement patterns and healthy body types. Working with dancers is gratifying though because they are usually patients who are eager to partner with physicians and apply effective treatments to get back to their dancing quickly as possible. Dr. Milani: Do you need a fellowship to focus on a dance medicine practice? If so, which fellowship would best prepare residents for a career in dance medicine? Dr. Grierson: A sports medicine fellowship is definitely helpful, but not absolutely required; however, coming up in summer 2016, the American College of Sports Medicine is partnering with the Performing Arts Medicine Association to develop a formal dance medicine curriculum with certification testing. After completing the curriculum and passing the test, physicians will become certified in basic dance medicine knowledge. What’s most helpful regardless of any fellowship training, is to shadow physicians who treat dancers. Dr. Milani: What are some of the health issues unique to dancers? Dr. Grierson: They perform daily repetitive motions that lead to chronic overuse injuries. Dancers aren’t well-trained in strategies to promote comprehensive fitness or physical durability. Many patients aren’t aware of the benefits of combining conditioning, cross-training, and modifying or adapting movements to their body type. Poor health and fitness habits can lead to early burn out due to injuries of the shoulders, back, and lower extremities. Common injuries include rotator cuff sprain, scapular dyskinesia, ankle sprain, iliopsoas tendinopathy, hip impingent, and others. Partnered dancers in particular can suffer head injuries when practicing or performing acrobatic or non-acrobatic choreography. Additionally, psychological health presents a unique component associated with body image and identity issues. Dr. Milani: What events outside of clinic would you cover as an MSK specialist treating dancers? Dr. Grierson: Performances, practices, dance camps, and health screenings are some of the more common venues for coverage. Dr. Milani: Which patients might a dance medicine specialist treat across the spectrum of dance? Dr. Grierson: Well, some patients are already steadily employed by professional modern, jazz, theater or ballet companies. Other patients are still working towards steady dance employment. This latter group often works nights and weekends waiting tables or doing other jobs, and doesn’t have great health insurance or good access to care. Other dancers generally fall into a category akin to the “weekend warrior” in the sports world. These patients participate in dance to varying degrees and span a wide range of ages and ability. The oldest patient I’ve treated so far is a 92-year-old man who is a former Broadway performer and who still swing dances weekly! Dr. Milani: What national organizations are dedicated to dance medicine? Dr. Grierson: The Performing Arts Medicine Association (PAMA) and the International Association of Dance Medicine and Science (IADMS) are 2 major national organizations that cater to all performing artists and dancers. Around the country, more regional associations also exist like SEA-PAM (Seattle Dance and Performing Arts Medicine) in Seattle, WA, which is an organization born out of a free clinic that I helped create during my residency in PM&R at the University of Washington. Dr. Milani: What’s the best way to learn more about dance medicine? Dr. Grierson: Shadow someone who is actively engaged in the field. You can look on national organization websites to see if providers work in your area. Be open to learning about the needs of this population from multiple sources, including physicians, dance educators, psychologists, and therapists. Pockets of the dance medicine community exist around the country and may hold dance medicine journal clubs, provide free clinics, or offer medical screening to dancers. Those are great ways to get involved with multi-disciplinary care and to understand the various goals of everyone on the medical team. Additionally, attending a PAMA or an IADMS conference is a great way to start meeting providers and learning about dancers’ health issues. Dr. Milani: What’s the best way to get involved in dance medicine at the local level? Dr. Grierson: Dance medicine is an emerging subspecialty, and at this stage, opportunities can be difficult to find or create; we still have a lot of trailblazing to do. You’ll likely have to carve out your own path. If opportunities around you aren’t obvious, you will have to take the lead (pun intended) and create them. Sometimes bringing together groups of people with similar interests and picking their brains can start you down the right road. Identifying a knowledgeable mentor, or multiple mentors, can be an invaluable step because you don’t want to reinvent the wheel if you don’t have to. You know where you want to go and you know what you want to be doing, and in the field right now, getting involved as a dance medicine provider is about breaking down barriers and thinking outside the box. So if you truly want to pursue dance medicine, get out there, take charge, and help shape this subspecialty from the ground up. Andre Cilliers is a Washington, DC native and an Army veteran who suffered an injury in Afghanistan. Today he is one of our country’s top paratriathletes who competes in the PT4 classification (athletes with comparable activity limitation and an impairment of, but not limited to, limb deficiency, hypertonia, ataxia, and/or athetosis, impaired muscle power or range of movement). Cilliers discovered the sport in 2012 and is a member of the Dare2tri Elite racing team. In a few short years he has earned these impressive honors: 2013 USAT Paratriathlon National Championships (bronze), 2013 ITU Duathlon World Championships (gold), and 2015 USA Paratriathlon National Championships (gold). I recently had the chance to interview Cilliers about the sport, training, and what gives him inspiration. Dr. Meizinger: What was your journey to triathlon like after sustaining a gunshot wound in Afghanistan? Cilliers: I lost function in my left arm after a gunshot wound to the brachial plexus in 2008. After numerous surgeries I regained some function, mostly in the shoulder. After hearing that one of the occupational therapists at Walter Reed Army Medical Center was doing her first tri in 2012, I figured I could try, too. The DC Triathlon in 2012 was my first race. After learning about Dare2tri and joining their team at Nationals, I decided I wanted to do this more competitively. Dr. Meizinger: What did you learn from your first triathlon in 2012? Cilliers: I learned very quickly that the swim was my weak point. My race really only started once I survived the swim. Dr. Meizinger: What was your training like preparing for Nationals? Cilliers: After attending a Dare2tri training camp in Chicago earlier this year, I finally gave up my stubborn streak and started to follow a regimented training plan from Coach Stacee Seay. The improvements were noticeable within 3 months. Dr. Meizinger: Can you share some of your experience from this year’s USA Paratriathlon National Championships? I know they had to cancel the swim due to extreme weather and unsafe water conditions. Cilliers: At first I was disappointed not having the swim, as I hoped to have seen what extent my stroke had improved since USA Paratriathlon Nationals that were held in Austin in 2013. Starting with fresh legs on the bike was unusual, as even duathlons commence with a run. It also lessened the spread of the group – and it made it easier to keep track of the other competitors. Since I was able to keep the race leader within my sights, I knew I could pull through for a win on the run. Dr. Meizinger: What lies ahead? Cilliers: Dare2tri has another camp in Indiana and then we are doing Leon’s Triathlon in Wolf Lake Park – it’s a camp for injured military vets . . . there is an increased sense of camaraderie when we see each other at races and so forth. Note: On June 7, 2015 Leon’s Triathlon also served as host of the U.S. Armed Forces Military Triathlon National Championship. Dr. Meizinger: What are your future goals in triathlon? Cilliers: Make the U.S. Paralympic Triathlon Team, either in 2016 or 2020. Dr. Meizinger: What is a typical training day like for you? Cilliers: Living in DC, it’s tough to find a place to bike without snarled traffic or endlessly running stop signs, so most of my bike training is indoors on a trainer. The only real hill in the area is Capitol Hill. Running along the Mall is great, plenty of sights and people. Between the military bases and DC public pools, there are several options for swimming. Dr. Meizinger: What has been the biggest challenge so far for you in triathlon? Cilliers: Other than turning swimming from a survival event into a race event, it was figuring out how to attach my left arm to the handlebar, since traditional prosthetics would not work. Once the mechanics from Ride 2 Recovery and a very patient occupational therapist named Stephanie customized the handlebars and fabricated the necessary splints, it was mostly downhill. Dr. Meizinger: What gives you passion? Cilliers: Being thankful to my Creator for a now semi-functioning body and the opportunities to use it. Dr. Meizinger: What piece of advice would you pass along to other triathletes? Cilliers: I should probably still be asking them for advice. Cilliers: Doesn’t matter what it is as long as it’s a lot. Dr. Meizinger:What is the most rewarding thing about triathlon? Cilliers: The loo k from able-bodied folks when I pass them. Dr. Meizinger: Favorite book/quote/movie for inspiration? Casey Meizinger is a resident physician from Philadelphia, specializing in physical medicine and rehabilitation at Stanford University, graduating in 2018. She has been an active member of the USAT Paratriathlon Committee since early 2015. Thank you to our 3,200+ attendees (and 500+ residents!) who joined us for the 2015 Annual Assembly! Boston’s bustling downtown landscape set the stage for 4 action-packed days of networking and education. From Dr. Kathleen Bell’s opening Presidential Address to the lively Welcome Reception, memorable President’s Reception, and valuable educational sessions throughout, the meeting was a huge success. Take a look at our #AAPMR2015 Recap page for a few videos showcasing the valuable education and networking held during the meeting. As you wind down for the holiday season, don’t forget to add next year’s Annual Assembly to your calendar! 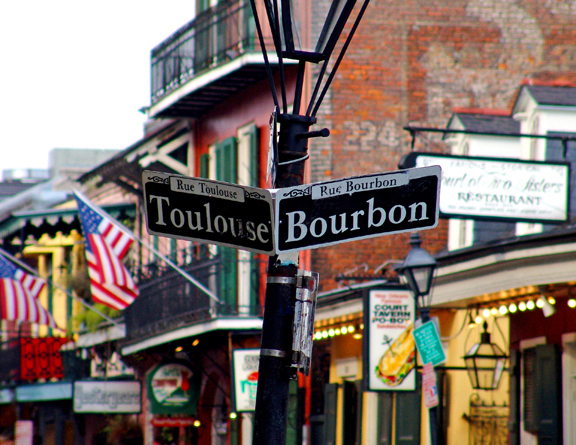 We’ll be Moving Physiatry Forward in New Orleans, October 20-23, 2016. Content will focus on innovative patient care, changes impacting the business of medicine, and ways physiatrists can position themselves and the specialty for success. We look forward to seeing you there! Job Fair – the largest PM&R-specific job fair in the country! Stay tuned to www.aapmr.org/assembly for details! The AAPM&R self-assessment examination for residents (SAE-R) takes place January 2016 and consists of 150 multiple-choice questions. Abridged SAE-Rs: Each abridged SAE-R provides a taste of what to expect with January’s exam by featuring questions covering 10-12 clinical areas of PM&R. All abridged SAE-Rs on mē® are complimentary to resident members. Concussion and Mild Traumatic Brain Injury – new in 2015! Regenerative Medicine – new in 2015! Certification Exam Prep Qbank: This online exam study tool covers the 12 PM&R core topics of the specialty through 800+ questions. Several topics provide additional questions and answers as an added study feature! Study guides covering various clinical topics are also available. 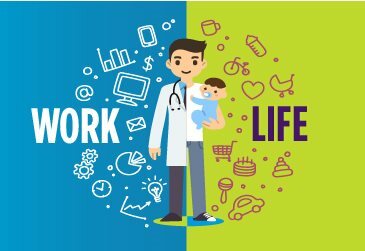 Physical medicine and rehabilitation was rated the number ONE specialty inthis residency work-life balance survey, based on feedback from more than 90,000 physicians. Physicians gave feedback on important aspects of their residency experience, such as career guidance, schedule flexibility for pregnancy and other life events, program culture, and clinical diversity. These positive ratings and reviews led to PM&R coming in as the number one specialty, beating out dermatology, radiation oncology,orthopedic surgery, and emergency medicine. Well done! Your Academy will soon be inviting you to submit your clinical and basic science research findings to be considered for inclusion in AAPM&R’s 2016 Annual Assembly, October 20-23 in New Orleans. All abstracts selected for inclusion in the scientific paper and poster presentations during the Annual Assembly will also be published in PM&R—your Academy’s official scientific journal. We’ll be opening our Call for Abstracts on January 7. Stay tuned to www.aapmr.org for more information!